Over 500 firefighters are battling a massive out of control wildfire that is threatening hundreds of structures and has charred at least 6,000 acres near Lake Berryessa. NAPA COUNTY, Calif. -- More than 200 structures are threatened by the Wragg Fire near Lake Berryessa that has grown to 6,710 acres and is only five percent contained. One structure has been destroyed and one home has been damaged. There are 525 firefighters battling the fire, some coming from as far away as San Diego. Erratic winds are pushing the flames in different directions, along hillsides covered by dry brush. A large fire burning south of Lake Berryessa is threatening structures and closed roads in the area. Many people spent the night in shelters. The communities of Quail Ride and Golden Bear are both under evacuation, but officials expect to lift the evacuation orders Thursday. Fire officials say the fire continued to burn throughout the night, when usually that's the time the fire winds down. "The fire this year from time to time more active at night, that's because the fuels are drier. 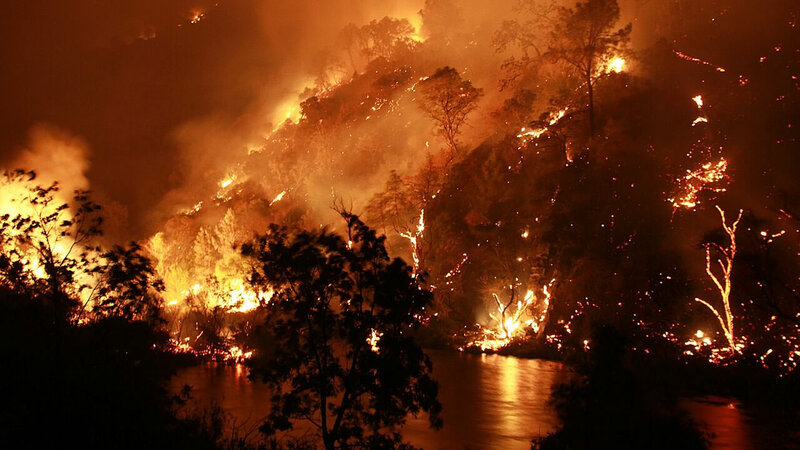 Last night the early part of the evening it did stay fairly warm," Cal Fire spokesperson Capt. Joe Fletcher said. A strike team from Marin County that arrived around midnight had to immediately jump into a firefight. "Right as we were about to deploy the fire jumped a dozer line and they needed some engines and we were sitting at the bottom of the road so they agreed to pull us up here," Petaluma Fire Department Batt. Chief Jeff Holden said. Crews found an outbuilding on fire, along with a car and two other buildings were threatened, but they got it all knocked down. The winds have helped fuel this fire and spread the smoke to a nearby town called Winters. "It's scary, there's ash all over my house, all over the ground, it was a little surprising that much ash fall had happened, but like I said the prevailing winds put the smoke right in town," Chris Rose said. Fire crews brought in a massive DC 10 jumbo jet to battle the flames. It can drop several thousand gallons of flame retardant, much more than smaller planes. Investigators are trying to determine if a car burning on the side of Highway 128 sparked the blaze Wednesday afternoon. Part of the highway remains closed. Three hikers in the area were safely rescued. The Red Cross has set up an evacuation center at the Winters Community Center in Yolo County, but only about five people showed up. Officials say that's because everyone in the community takes care of each other. "People are staying at friend's houses in town and that's kind of the community we have here," Rose said. A large animal evacuation center has also opened in Winters along County Road 31. 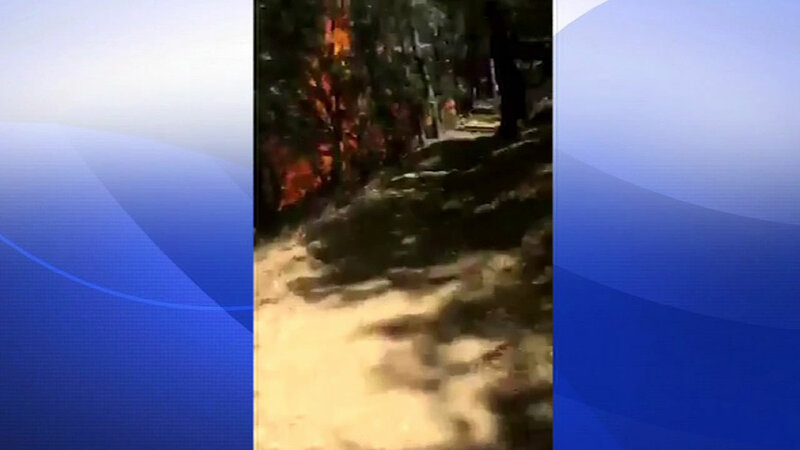 A person who was near Lake Berryessa as the Wragg Fire began captured a few scary moments on video as the fire quickly spread.